This book focuses on a young woman, Bobbi, determined to fix the relationships in her family by taking up the dream of her injured twin brother. The author does a great job showing character growth and kept the story moving forward. I was impressed with her use of first person. It's a tough assignment for any writer, but Terri handled it like the pro she is. I'm not a fan of golf, but she kept me turning pages. Since I have limited reading time (who doesn't these days? ), I couldn't read it in one sitting. Oh, but I wanted to and couldn't wait to get back to the story. Way to go, Terri! 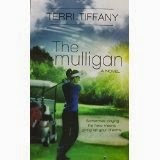 Be sure to check out The Mulligan on Amazon. Disclaimer: Neither the author nor the publisher provided this book or gave any payment for this review. The opinions expressed here are my own. Writers: Have you ever written anything in first person? Please share your experience. 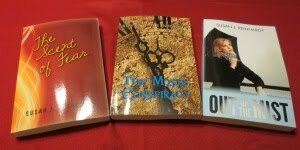 Readers: Do you like books written in first person (totally in the main character's point of view)? Please share. I'm sorry I never saw this review! Thank you you! !